Salt Pond Bay in the Virgin Islands National Park is a secluded beach with scenic views, great swimming, and some stunning reef life offshore. The amazing, clear water at Salt Pond Bay alone is a reason to visit, but this quieter shoreline makes for a lovely getaway, escaping the crowds of more accessible sandy stretches. The sparse population stems from its longer distance from Cruz Bay than most of the area’s favorite beaches. There is also a required 10-minute hike downhill after the parking lot to reach the beach. Once you arrive, though, you will truly be part of a little slice of paradise. Continue hiking along connecting pathways to Salt Pond Bay or lounge out on the lonely shore to soak up some rays in the peace and quiet. Whether you opt for a land adventure, relaxation, or water exploration, Salt Pond Bay has a little bit of everything. There are some great reefs around Salt Pond Bay, though they might be a little more inconvenient to access than some other St. John beaches. To enjoy the fantastic reefs, a long swim to the middle of the bay near a set of jagged rocks will provide ample snorkeling opportunities. The rocky eastern coastline of Salt Pond Bay is another great spot for snorkeling. Be sure to bring your snorkeling gear with you, as there are no rentals on the beach. Also, be sure to use the buddy system and don’t swim out too far if the water is rough! Usually calm, though, Salt Pond Bay USVI does create a great environment for seeing some colorful coral reefs and seagrass beds on a typical day! Sea turtles are often spotted, along with rays and giant hermit crabs. The trek to the Salt Pond beach will be worth it once you reach the beautiful St. John destination. The crescent-shaped beach has great sun exposure, perfect for soaking up some vacation rays. Get your tan on while enjoying some joyous breezes to stay cool. The shallow water access is ideal for swimmers, and the protected beach usually doesn’t deal with much surf at all. Float along the surface or swim out and snorkel. While you’re on the sand, however, let the sun seep into your pores and enter a phase of full relaxation! There are some great hiking trails and destinations near Salt Pond Bay that make it an even more ideal place to visit on St. John. Drunk Bay and Ram’s Head Trail are nearby, both offering a rugged beauty. Go on some memorable adventures and take some breathtaking pictures as you hike near Salt Pond Bay. Take the trail on the eastern end of the beach, and head left to Drunk Bay’s coral and stone shoreline and artistic stone sculptures. Or, head right to the crest of Ram’s Head. Each hike is about a mile and somewhat strenuous. Be sure to bring water and some snacks for stamina (maybe even a picnic lunch)! At Ram’s Head, you will walk down narrow island paths and along a stunning stone beach before ascending to the top. The view of Salt Pond and the surrounding landscape will make the journey worth it! Your Salt Pond Bay adventures will be just one part of your St. John vacation! 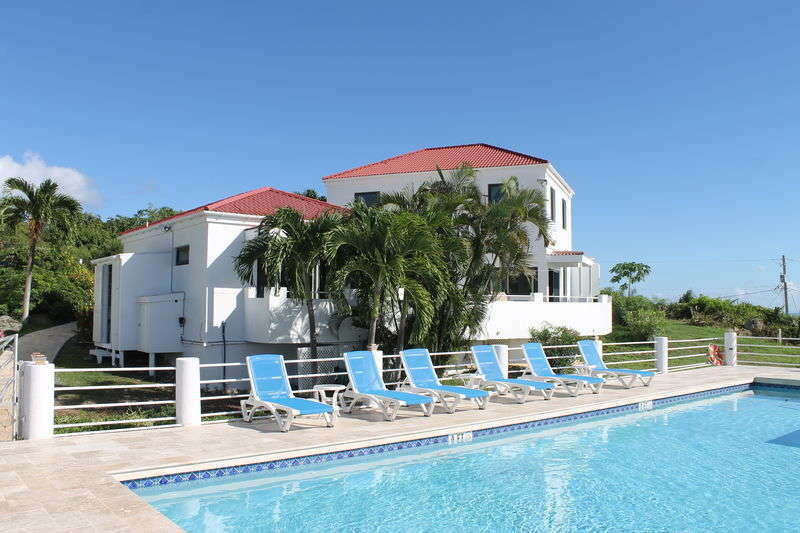 Stay with CimmaronStJohn for luxurious villas and condos to suit your particular needs. Book your stay now!